A journey across a beautiful and dangerous land. An evil only you can destroy. A companion that helps you discover and achieve your destiny. As a kid who grew up playing Ocarina of Time for hours on end, the three fore-mentioned components became a road map to many of my favorite games of all time. My interested in action adventure games was sparked by The Legend of Zelda series but it led me to discover several games that took inspiration from the series, my favorite being Clover Studios’ beautiful and ambitious Okami. 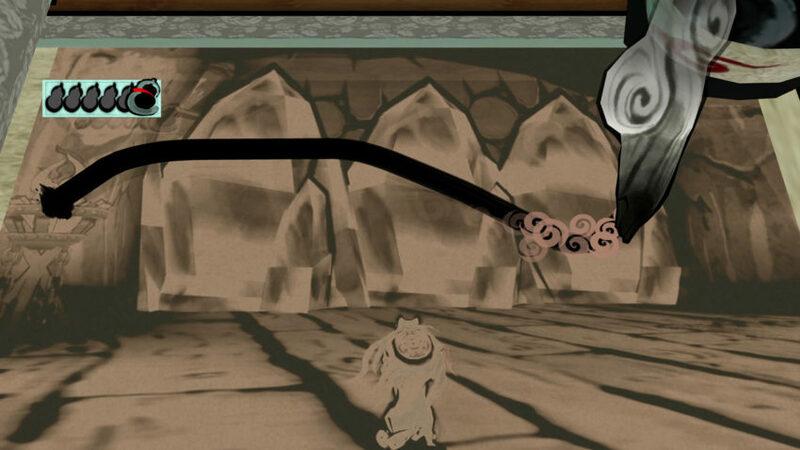 On the surface, Okami has many of the hallmarks that I look for in my favorite Zelda games. The game contains an engaging mix of exciting combat and clever puzzles, which helps vary the pace and style of game play. Clover Studios’ game has a world overflowing with colorful characters and monstrous enemies with distinct and thoughtful designs. Lastly, much like the beautiful Wind Waker, Okami also boasts a beautiful cell shaded art style that leaves many players awestruck. If you look closely at Okami, you can pick out many elements that draw inspiration from Link’s greatest adventures, but despite Okami‘s similarities to The Legend of Zelda series, it’s a testament to Okami‘s design and world that the game successfully develops its own identity and leaves an indelible mark on many of the players who get the opportunity to play it. The most iconic game mechanic in Okami is the celestial brush stroke mechanic. This innovative mechanic allows the player to draw and paint different shapes with their controller, which allows the player to dynamically interact with the game world around them. With one simple button, the game gives you a way to affect many aspects of the game including interactions with the environment, combat, and traversal. Drawing a line become a power slash, which can be used to take down enemies in combat or cut through a rock blocking your way. You could draw beautiful flowers with a flick of your controller in order to free the world from the grasp of evil, allowing you to progress in the game. Eventually, you learn the ability to manipulate wind, lily pads, and vines, which change how you can travel through the vast and beautiful world of mythical Japan. While games like The Wind Waker and Twilight Princess were acclaimed upon their release, they followed a clear template established by A Link to the Past and Ocarina of Time. 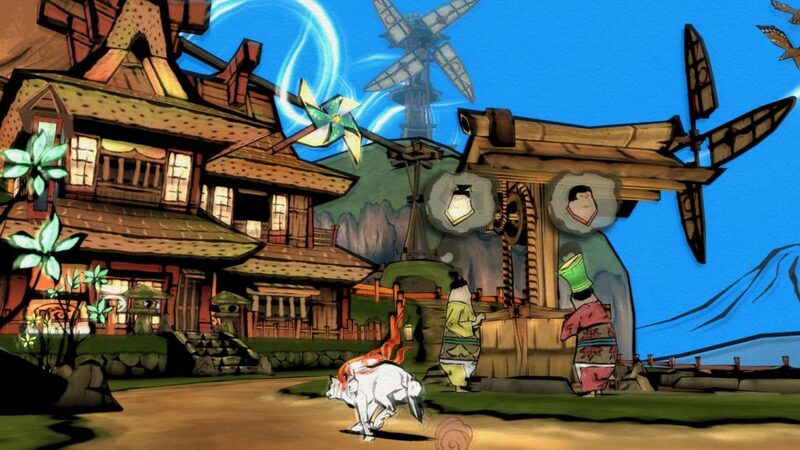 Okami‘s implementation of the celestial brush strokes separates the game from its The Legend of Zelda series. Another triumph for the game is the fluidity of movement in its main character. One of the complaints leveled against Twilight Princess (released the same year) is that the wolf sections feel sluggish, both in terms of pacing and in the character’s movements. 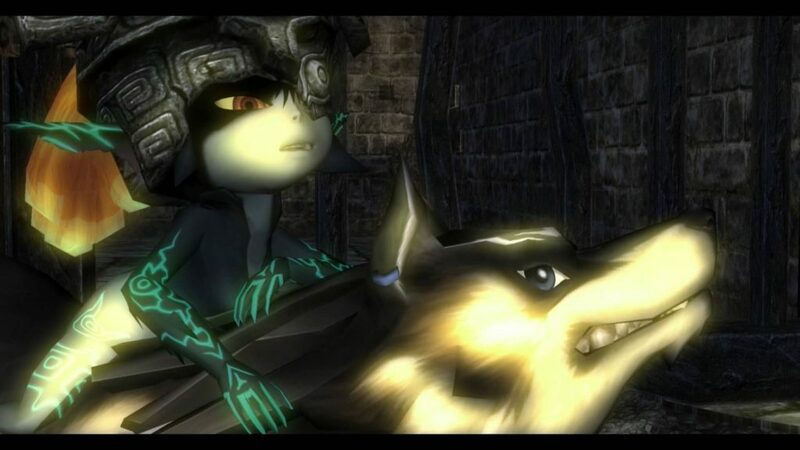 Some suggested that Twilight Princess‘s wolf sections were not well enough developed and hurt the pacing of the game. In contrast, Okami made movement as a wolf an essential element of the game and completely nailed it. The wolf/god Amaterasu is easy to control and each dash across the Japanese mythological landscapes is fast paced and graceful unlike the sluggish plodding in Twilight Princess. It is easy to forget importance of smooth and fluid movement, but when you a play a game where movement is cumbersome or sluggish, it can take the player out of the experience. The graceful and enjoyable movement was complemented by small touches added to the experience, such as the trails of flowers and grass that spring up in Amaterasu’s wake, which connect your character with the rejuvenation you bring to the land. Boss battles are a hallmark of action adventure games. From Dark Souls to The Legend of Zelda to God of War, boss battles present us with tremendous spectacles to marvel at and epic challenges to overcome. Much like The Legend of Zelda series, Okami saves its boss fights for significant story and crucial game play moments. These fights aren’t hidden like in some games (most recently God of War for PS4 hid some excellent fights off the beaten path), they are treated as center pieces of design. Using the deep well of Japanese mythology as inspiration, Okami conjures up terrifying beasts that are wondrous to behold and a joy to conquer. 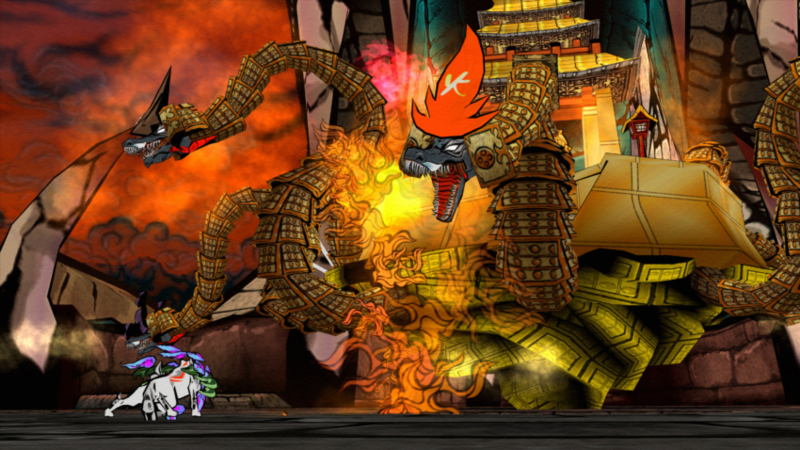 Orochi, the 8 headed dragon (pictured above), is just one example of how the game pushes the limits of its genre and its technology. The fight forces you to react to the attacks of the different heads, each one with a different ability. Deciding which head to take down first and how to do defeat each head creates some incredibly tense and exciting moments. Additionally, the battle is the culmination of an intense journey through the world, which gives you a connection to the people and place threaten by Orochi. Like many of Nintendo’s best boss battles, Clover Studios cleverly tied its battles to the core mechanics of the game, including the celestial brush strokes. Some enemies require you to use certain brush stroke techniques to open up your foe’s weak spots, while others allows you to be more creative in your use of brush strokes to deal deadly blows to enemies and sub bosses. 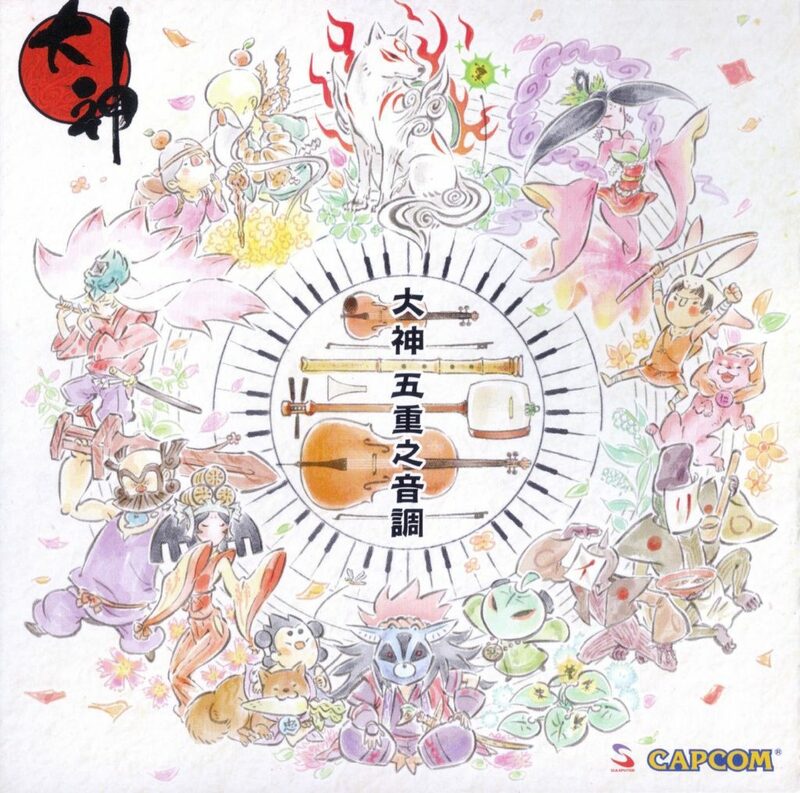 Okami‘s soundtrack (created by Rei Kondo, Masami Ueda, Hiroshi Yamaguchi, and Akari Groves) is deeply indebted to traditional Japanese instrumentation and sounds. The score is key to anchoring you to the mythical world of ancient Japan. The official soundtrack clocks in at a staggering 4 discs worth of music, with a wide arrange of themes and types of music represented throughout the game. Just as Koji Kondo and the other composers established a sense of tone for each place and character in The Legend of Zelda series, the composers of Okami perfectly complement the game play and further immerse you in the game world. The heavy influences of traditional Japanese sounds and instrumentation gives the game a distinct tone and links the story to its traditionally Japanese mythological roots. One of the soundtracks greatest achievements is its ability to move between genres and tones with ease. Okami‘s music can move from whimsically silly, to epic, to heart breaking and the composers have a piece of music that is perfect for each moment. Much like The Legend of Zelda series, Okami‘s music gives the player a feeling for the places you travel and the characters you meet. The cursed lands include sad and sorrowful songs, while gorgeous sweeping landscapes reward the player with epic melodies and joyful noises. Each boss battle includes tense battle themes that urge the player to action. The composers of Okami have created a multitude of unique themes for the memorable NPCs and side characters who bring life to the game world. A great game deserves a great soundtrack and Okami delivers in almost every way. The story fits into a typical “Hero’s (or in this case Heroine’s) Journey” but it often has fun subverting and playing with the player’s expectations. When we meet the legendary warrior Susano for the first time, he is presented as a drunken and lazy mess, not quite a fellow who is up to slaying demons with Ammy. Instead of just playing the character off as a one note joke, Susano grows into a rounded character, one forced to confront his own fears and failures. Along with Ammy and Issun’s help, Susano is able to become the hero that his village desperately needs. The character development and story arcs of Okami‘s side characters resembles recall and surpass some of the best characters arc in The Legend of Zelda series. Unlike many games that discard a character after their small story arc is completed, Okami is able to provide a powerful moment late in the game that ties together the side characters and reminds the player of all the characters they have meet throughout their long journey. It’s these kind of smaller, more personal arcs, along with the final narrative payoff that power Okami through its long run time and give the game a deep and distinct story telling identity. Okami will always share a complex and fascinating relationship with The Legend of Zelda series, especially its contemporary Twilight Princess. The two game have been compared and contrasted with each other endlessly since their perspective releases. Okami launched in April 2006 and Twilight Princess in December 2006, both including wolves as playable characters (a fascinating accident of fate). Okami was one of the final games to be released before the launch of the PS3 console, while Twilight Princess championed the release of the Nintendo Wii console (it would come to GameCube a month later). Ultimately, Okami would be commercially overshadowed due to the new console launches, while Twilight Princess would emerge as a best seller on the new system. Perhaps most notably, Okami would take the crown from The Legend of Zelda series by winning IGN’s game of the year award over Twilight Princess, making it the lowest selling game to win this award. 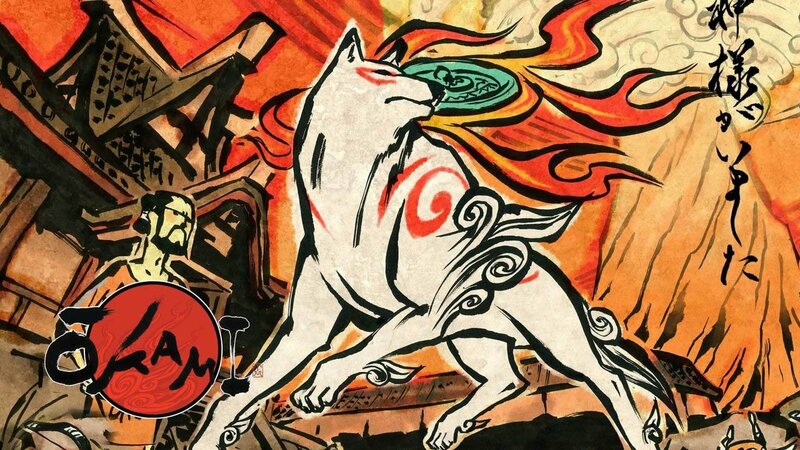 Ultimately, Okami is an amazing game not because it was inspired by The Legend of Zelda, but instead because it pushes these some of the familiar mechanics in new and daring ways and brought great new ideas to the table. Okami doesn’t rest on the laurels of The Legend of Zelda series, but instead Clover Studio forged its own path with innovative ideas and brought its own complex and beautiful game world to life. Sean Gadus is an Original Content Editor at Zelda Dungeon. He loves playing video games, reading books, and geeking out about all things Star Wars. He loves making mix CDs and rocking out at concerts. He lives and works in the Cleveland Area (DEFEND THE LAND! ).